Enterprise Centre East Boardroom, 900 Alder St. Using the “Toolkit for Starting and Sustaining a Neighbourhood House” as its guide, this workshop provides a high-level overview of building dynamic, community-engaged organizations from the ground up. The workshop examines six phases of organizational development and introduces tools from the Toolkit. Growth – governance and organizational development – how to implement systems and practices for effective boards. Potential – building on strengths and developing strategies to carry your organization into the future. About the facilitator: Jocelyne Hamel, Executive Director, Mount Pleasant Neighbourhood House has been in non-profit leadership roles for more than 25 years, including House of Mount Pleasant Neighbourhood House and participating on the Senior Leadership Team of the Association of Neighbourhood Houses of BC. 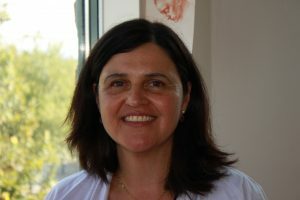 Jocelyne’s educational background includes an MA in Leadership and Training (Royal Roads University), a BA Business Administration and a Certificate in Dialogue and Civic Engagement (Simon Fraser University). Jocelyne is passionate about the neighbourhood house model and its approach at fostering community engagement and leadership development. She is an experienced facilitator with a background in adult learning principals, and brings theoretical and practical knowledge and experience in leadership, governance, civic engagement, group facilitation, and community-based programming for children, youth and families. Registration: $35.00 pp for Volunteer Campbell River members, $50. pp for non-members. Email mail@volunteercr.ca or call 250-287-8111 with your agency and contact information. 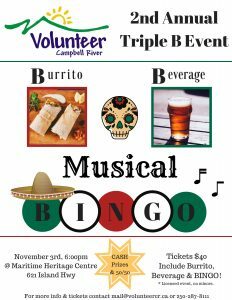 Then, follow up with payment by cash or cheque to Volunteer Campbell River, 900 Alder Street by Nov. 16th to confirm your seat. Register today!